It certainly is love with the Rimmel Salon Pro range of nail varnish, so much so that I just had to dedicate a blog post to them! I only have 5 shades but I adore each one. Apparently there are 36 shades in the range, although I don't think I've seen half of these on the stands in my local Boots/Superdrug, so I will have to hunt some more down online. The brush on the Rimmel Salon Pro's are the perfect size; they're quite wide, so you can apply a good wedge of colour down the middle of the nail and then just fill in the outside without having to dip the brush in the bottle again. It makes application so, so easy; I find I get less nail varnish on the skin around my nails with a wider brush. The formula is meant to be an all-in-one strengthening base coat and top coat with a gel shine finish, that lasts for up to 10 days. I always apply a separate base and top coat out of habit, but I do get a good 5-7 days wear out of the Salon Pro nail varnishes, which is fantastic. The formula is so good that you can achieve an opaque finish in just one coat - although I apply two coats just to get a stronger colour finish. All this for just £4.49! Amazing. The shades I have are (left to right); Grape Sorbet (metallic pink), Cocktail Passion (coral-pink), Peppermint (mint green), Britpop (bright blue which has a teal tone to it in certain lights) and Navy Seal (a purple toned blue). 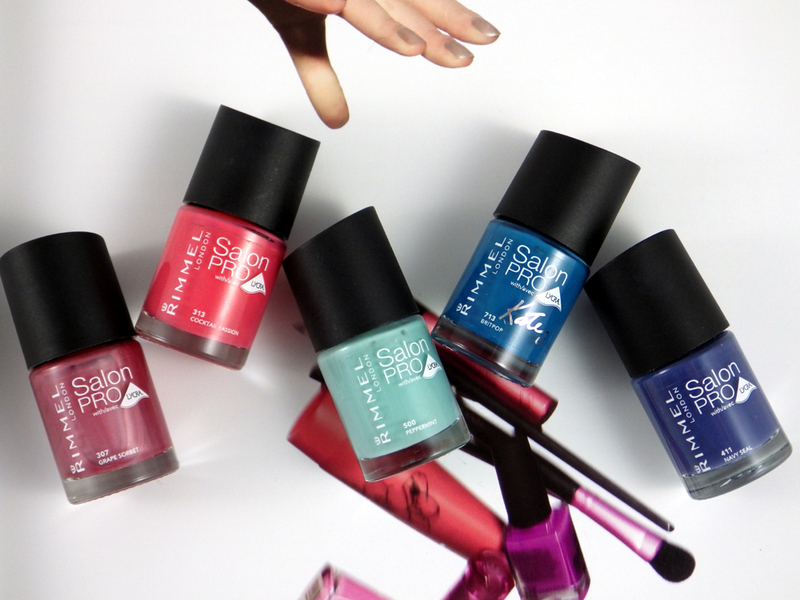 Are you a fan of Rimmel Salon Pro nail varnishes? Are there any shades you'd recommend I add to my collection? Rimmel polishes are fantastic! I own 'Peppermint' but it's in the old packaging, gorgeous colour. I really need to get some of these, I don't even own one yet! 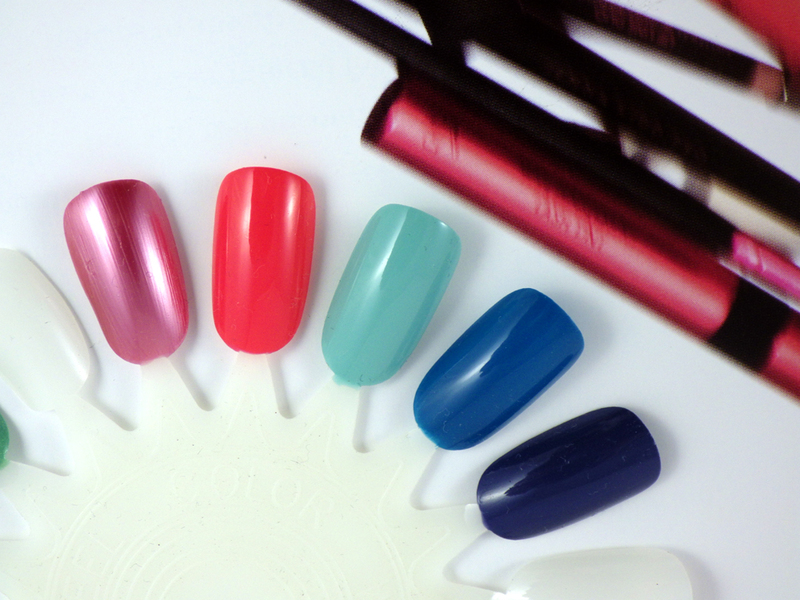 I cannot get enough of these Salon Pro nail polishes either, they are incredible!